← Losing weight gets you into shape! Do you like something sweet? Often when we are trying to lose weight we crave something sweet. It is difficult at times to resist this. If you really are unable to give up chocolate then if you can try to eat 70% dark chocolate you will find that a square can be very satisfying. 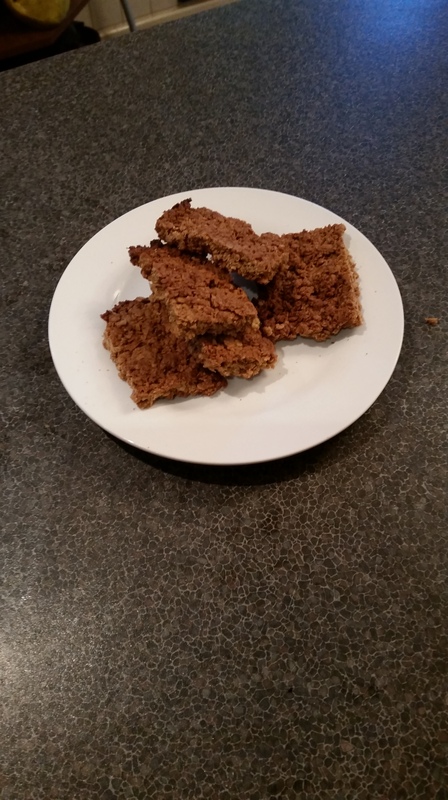 However if you make yourself something sweet yourself as treat it can also be very satisfying and you can make things such as flapjacks for a lot less calories than you would buy in the shops and enjoy them all the more because you have made them. These are ones that keep well in an airtight tin or box and are also great for sharing. Spoon onto a baking tin 11 inches by 8 inches, which is lined with baking parchment.